The title is a quote from Dr. Don Livermore. He made the statement a couple of times during my memorable visit recently to the Hiram Walker Distillery in Windsor. Having received an invitation to tour the plant in company of Don Livermore, its Master Blender, I wasn’t going to say no. Are you kidding? This was a chance to visit a distillery in operation since 1858 – before Canada became a nation. It produces nationally and internationally-known brands, not just whisky but numerous other spirits, and liqueurs. Don possesses master’s and doctoral degrees in Brewing and Distilling from the well-known Heriot-Watt University in Scotland. His studies focused on barrel maturation and how different types of barrels interact with alcohol and affect flavour. This background, plus many years at Hiram Walker in different roles, have given him a mastery of the science and practice of distilling and blending. Hiram Walker was an American who resided in Detroit, he had interests in numerous businesses including a grocery. Interestingly, he crossed the river daily to supervise the business but never resided in Canada. The Hiram Walker complex runs some 40 acres along the Detroit river and includes the aging warehouses at Pike Creek, about 10 miles away. 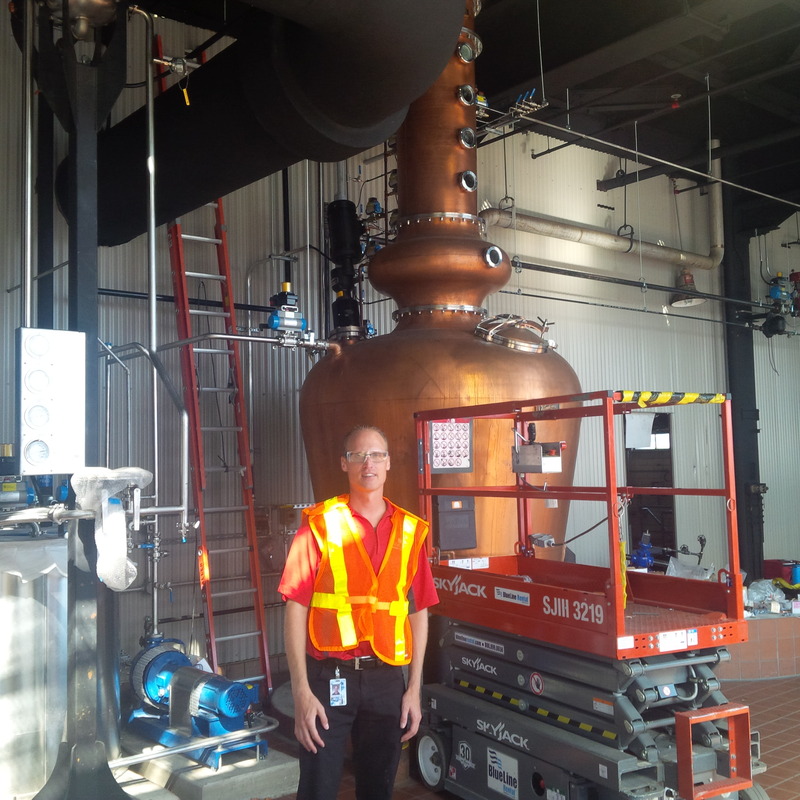 The Canadian Club Heritage Centre onsite is actually operated by Beam Suntory, a competitor. 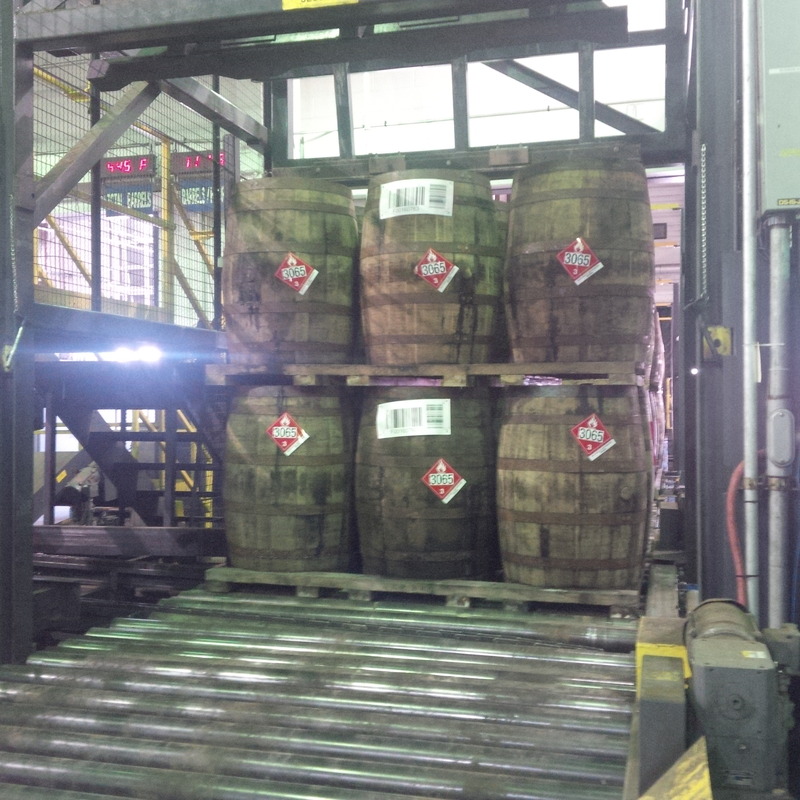 Hiram Walker makes Canadian Club for Beam Suntory under contract. “CC” was a Hiram Walker brand originally but this changed some years ago when Hiram Walker changed hands. 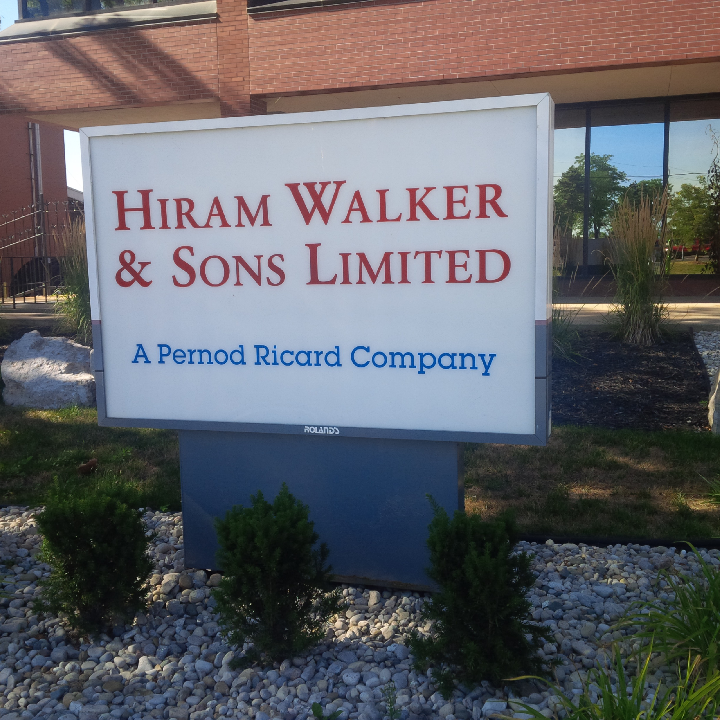 Pernod-Ricard in France acquired the distillery and the Hiram Walker whisky brands except CC, which went to what is now Beam Suntory. 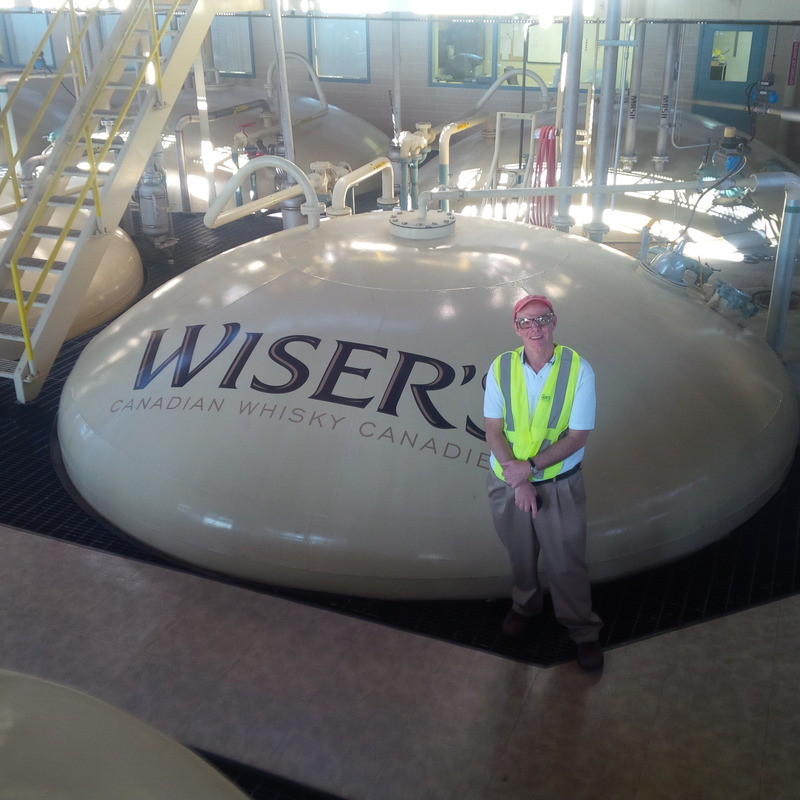 We started at the general offices where a Wiser’s Brand Centre is in course of planning. An on-premises shop is now in operation as well where different brands can be purchased by the public. A bar is planned, to boot. The Brand Centre will permit public tours and a broader interface with the consumer interest in whisky than has been afforded to date. All to the good, it’s a trend at play for some time at distilleries in Scotland, Ireland, and Kentucky. The Detroit River and Detroit city skyline across the river will provide a superb backdrop for the Brand Centre. Tall elevators nearby were built of concrete in the 1950s. They hold the grains that will become whisky. They are held in unmilled form, and ground with a hammer mill before mashing for whisky or other spirits. I met Kristy who checks the grain arrivals to ensure conformance to contract. She looks in particular for geosmin in grain, an earthy off-taste which can show up in the barrels years later. Also, spent grains sold for animal feed with this defect might be rejected by the animals who instinctively shy from the taste. 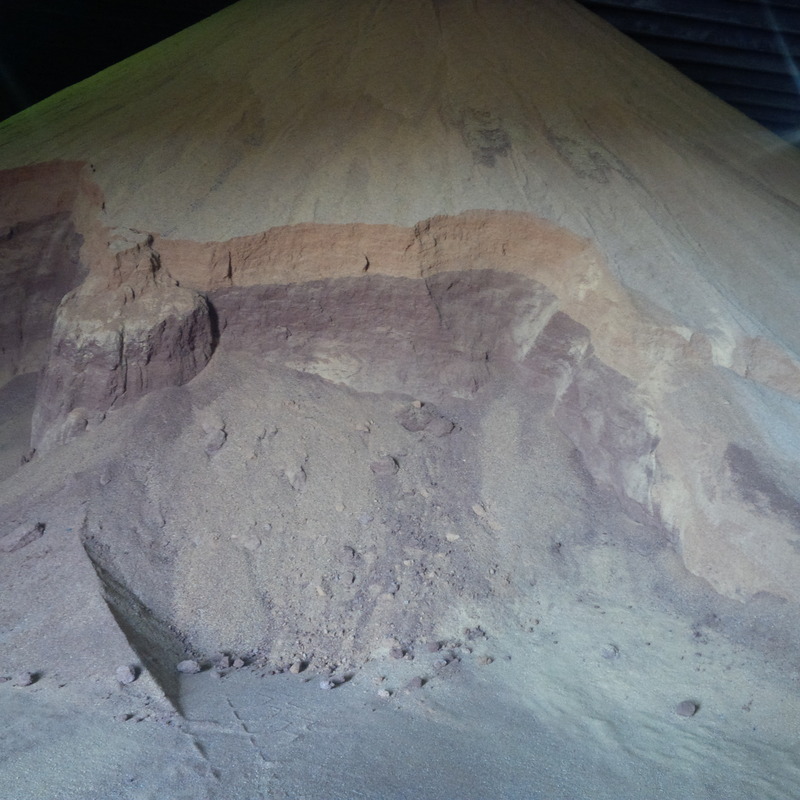 For this reason, the company is careful to reject all grain with this defect or other non-conformance to contract specifications. Moisture level is another parameter carefully checked. The dried, spent grains from the mashing – the residue after the sugars are extracted for fermentation – are stored in an impressive huge pile with different-coloured layers, e.g., rye is darker than corn. Farmers prize the spent grains as feed for livestock. At one time, the area where the grain is received and handled formed part of a separate grain business. Many distillers started as millers or grain dealers and grain trading was once an adjunct to distilling at Hiram Walker. We went to the rooftop of a silo and apart from the view being pretty impressive – the river glittered far below on a flawless day – we heard a pinging sound. Sonar-type technology is used to monitor the volumes in the elevators. Exact meansurement can be made at any time which assists for financial reporting and other purposes. All grains are stored separately by type and are mashed, distilled, and aged separately. This system is generally used at large Canadian distillers. For CC however, separate distillates are combined (when new) for aging. But all the Hiram Walker whiskies including the flagship Wiser brands are aged separately and then blended before bottling. Backset, the residue of a previous distillation, is used in mashing for Double-distilled but not for the other two. The acidity level in the rye mashes doesn’t require backset to reach the correct level. It is useful for Double-distilled, to adjust the pH which otherwise might climb too high due to nitrogen in the mash which is wanted for its favourable impact on yeast action. Most of the Double-distilled is made from corn, which has a relatively mild taste as a grain. Star and Star Special generally are distilled from rye but also sometimes from barley or wheat, and form the keynote flavours in the blends. Star and Star Special are distilled broadly like the American straight whiskies or Scots malts (all under 80% abv), but have their own characteristics. E.g., the pot still used for Star Special is somewhat different than the doubler still used for bourbon since the spirit is condensed first and tanked, after which it is charged into the pot still. In a doubler set-up, the spirit flows directly into it from the column still in one process. Also, Hiram Walker’s pot still has a notably low lyne arm. Through less reflux (condensing and re-boiling) this makes a more vigorous spirit. Traditionally in Canada, the idea is to use small amounts of flavoursome whiskies such as Star and Star Special with a larger amount of Double-Distilled to make a balanced blend. One brand, Lot 40, is Star Special not blended, and released on its own. It has a very full, piney/spicy palate. It is our counterpart to a Scots malt or bourbon. The fermented mash for Double-Distilled reaches 15-16% abv, a high level by international standards. The more alcohol that can be generated from a mash, the more efficient it is. The distillate’s high proof means no relevant flavour considerations are affected. In contrast, Star and Star Special are mashed to produce about 9% abv, comparable to an American or Scottish distiller’s “beer” for bourbon or malt whisky. The distillery uses commercial dried distillers yeast for the fermentation. In the past, some malt was used to convert the starches in the raw grains to fermentable sugars but Don indicated the company is moving to all-raw grains mashing with enzyme being added to ensure conversion and fermentation. This ensures better control and reduces the risk of infection which malted grains (due to their processing) can introduce into mashes and the finished whisky. Later in the lab, I tasted a spirit which showed this defect and I thought it was quite familiar from numerous American ryes I’ve had! It was a strong peppermint note, at least that’s how it struck me. I won’t tarry on bottling and emptying and filling casks except to say the barrel emptying system made an impression. The trucks come in from Pike Creek, barrels enter on their warehouse pallets, a machine takes out the bung, and the whiskey is vacuumed out in about half a minute. A moment later the barrel is refilled with new distillate and trucked back to the warehouse for aging. The cycle of the business is neatly exemplified in that one operation. The labs have the expected high degree of tech sophistication, however employees still nose the products to ensure acceptance to set standards. The human element is still very much part of the picture. Alcohol today is measured, e.g., in a portion of mash, with a densimeter, not a hydrometer. Don pioneered the use of infrared sensors that can rapidly detect alcohol, sugar, and acid levels in a matter of seconds as to opposed to traditional methods that could take as long as two hours to measure one sample. This technology allows Hiram Walker to have tight controls on fermentation which in Don’s belief is the heart beat of a distillery. The distilling process is monitored by a sophisticated software program which can report on various parameters especially temperature. 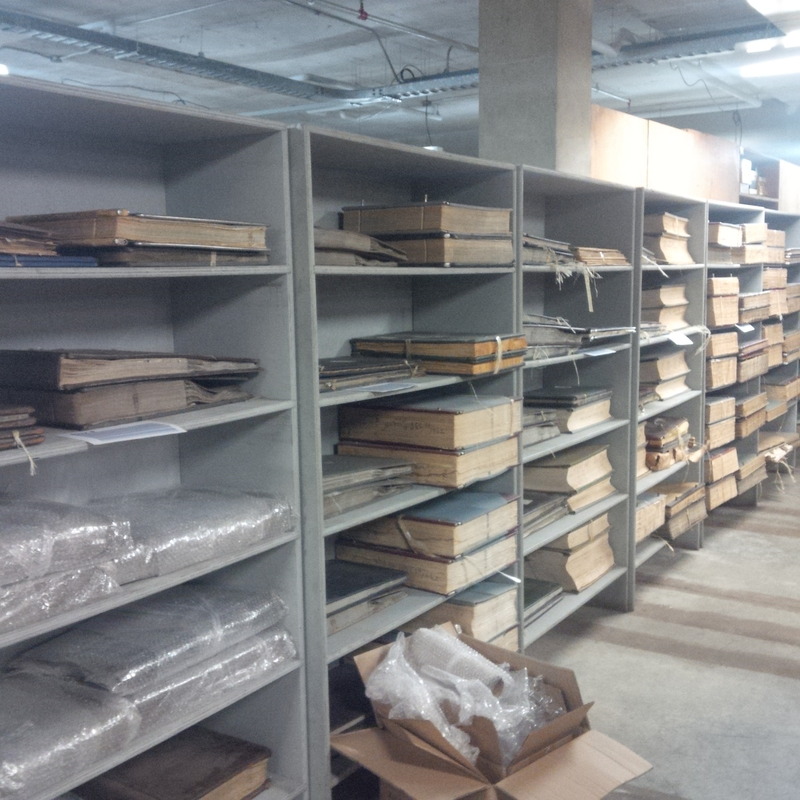 Don showed me an amazing collection of yeast samples gathered by the company over the years from different sources. I saw an “Old Crow” yeast, yeasts from long-disappeared rye distilleries in Maryland and Pennsylvania, and much more. Don hopes to use some of these yeasts to make test batches of products. The company just acquired a smaller still, a hybrid pot and column still, which will facilitate this. Imagine a rye whisky mash fermented as in the 1930s in Baltimore! Maryland was formerly of high repute for rye whiskey. All the whisky is aged, and some rum and brandy, in large concrete warehouses (1950s, 60s-era) a few miles away at Pike Creek, a suburb of Windsor. 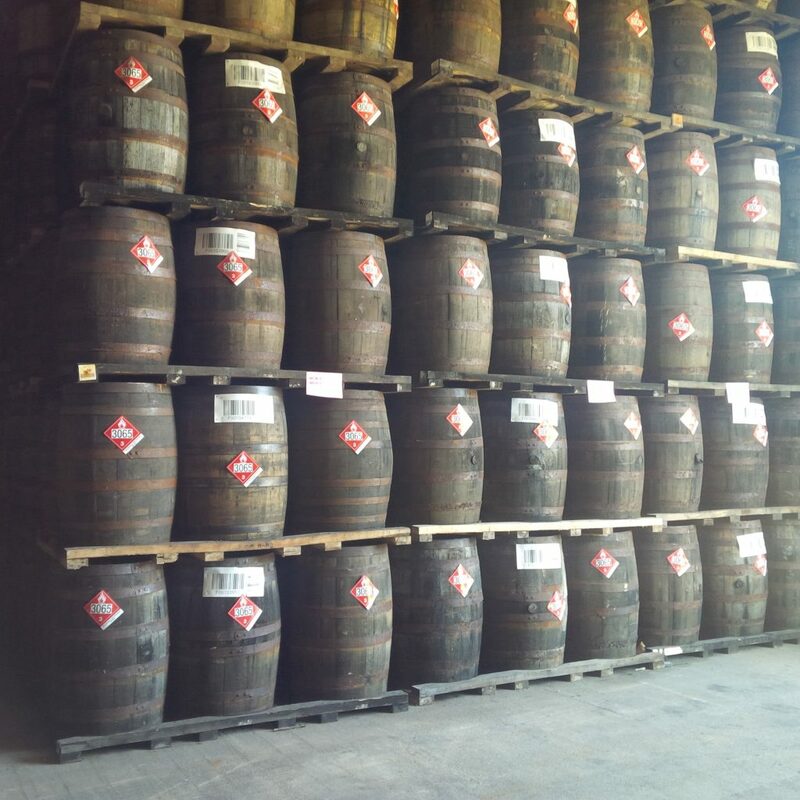 The barrels stand end-to-end on wood pallets vs. on their side on racks as in some distilleries. The buildings are ventilated with fans, and large overhead doors are opened and closed to ensure proper air circulation. No artificial heating or cooling is used unlike in some bourbon warehouses. Temperatures in the Windsor areas can be quite extreme, at times the whisky is near freezing but right now can reach 30 C or more. Whisky is aged anywhere from three to 18 years or more. Each brand has a set matrix of ages and sources – mix of Double-distilled, Star and/or Star Special. 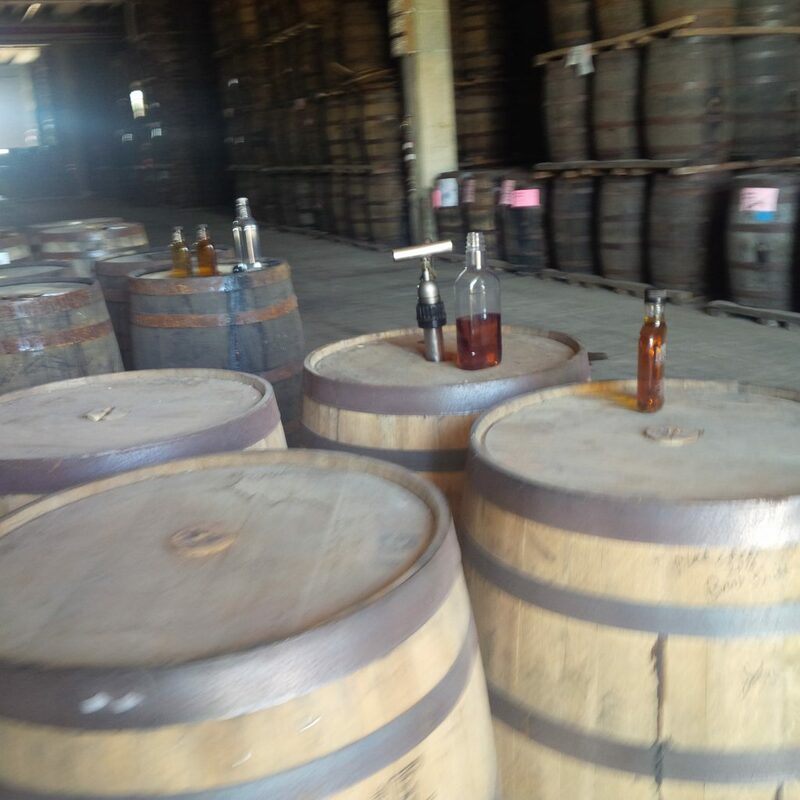 In turn, the whiskies are distilled from different grains and aged in different kinds of barrels. Red Letter is a relatively recent brand, but based on a historical recipe. Its base is aged in virgin wood, that is, new barrels whose interiors are charred as for bourbon. This gives the whisky a warm, toasted oak topnote compared to the more neutral impact of re-used bourbon barrels. I tasted at the warehouse Lot 40, a Star Special unblended as mentioned above, at about 55% abv – barrel strength. It had a spicy/piney nose and huge flavour with a good sweetness. This is Canada’s equivalent of a good single malt or bourbon but appropriately, doesn’t taste like either. It would be good to see the cask strength released as a specialty on the market but right now you can buy the very distinctive Lot 40 at 43% abv*. Back at the main facility, Don took me through an amazing nosing of numerous white and aged spirits, made from different grains and aged in different barrels, to detect differences. 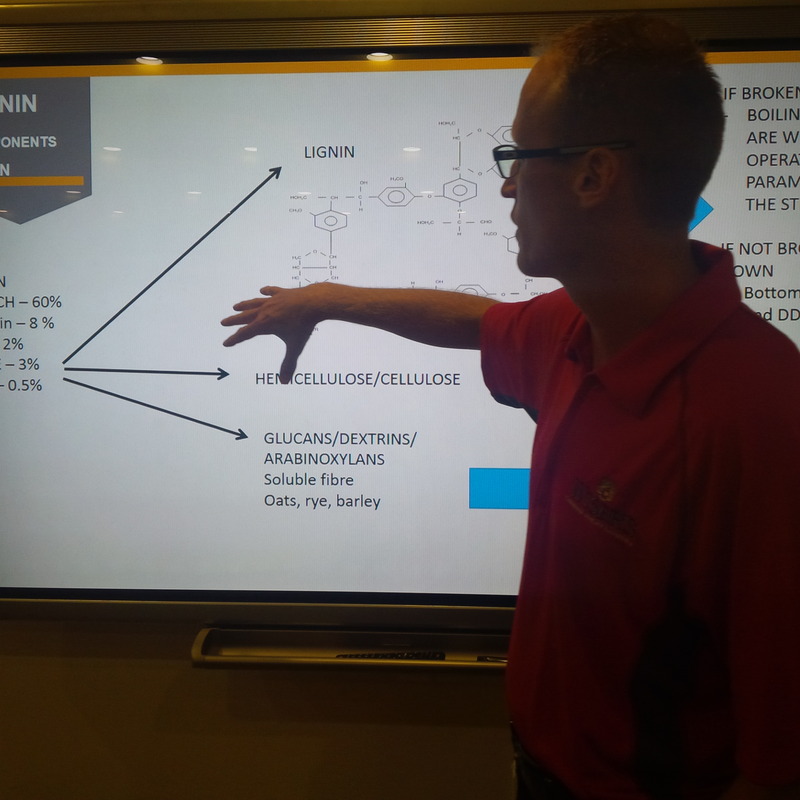 He made a presentation on the effect of alcohol on the cellulose and hemi-cellulose of the oak which showed how specific compounds are extracted to lend keynote flavours in the spirit. Lignin is a key source of many of these flavours, it derives from fibre in the oak wood. Rye also has fibre and the aging of Star and Star Special result in breakdown of its lignin component to provide many of the spicy and other keynote flavours. These include grassy, floral, fruity notes, some of which come from the fermentation, the heart of the process. 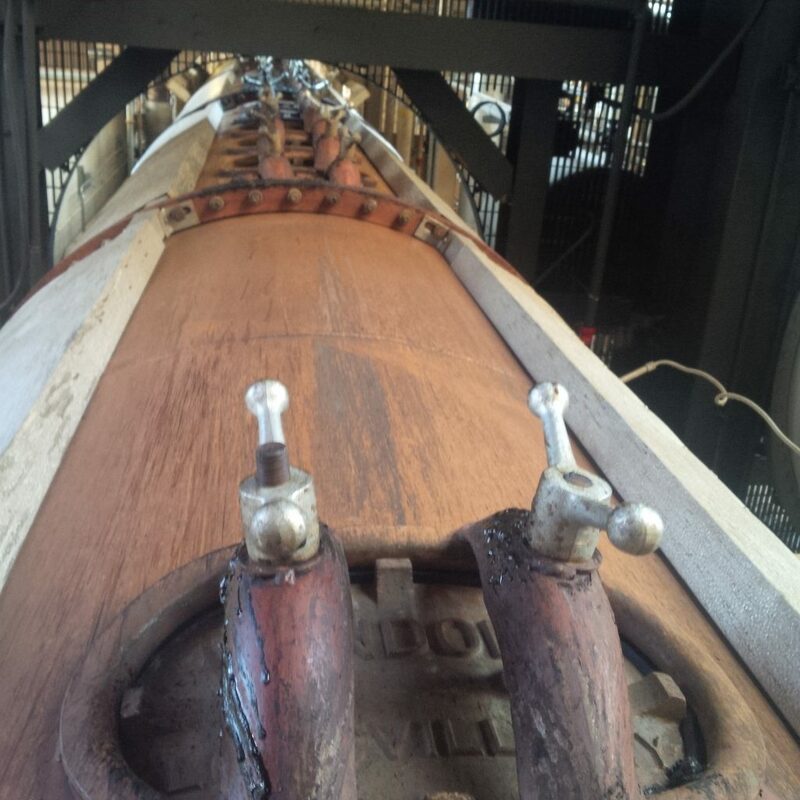 A heavy soapy note in Star and Star Special is avoided by discarding most of the “tails” from the pot distillation, these are the high-boiling volatiles. Undesirable low-boiling volatiles including methanol are removed by a “heads” cut at the outset of the run. Still, a touch of these flavours stays in the spirit to lend it character. (Molecules can’t be separated with precision in the fractionating of a grain fermentation, a good thing). Although some of the Hiram Walker brands may use relatively little Star and Star Special, so potent is their taste that considerable flavour is imparted to a much larger amount of relatively neutral whisky. It isn’t neutral as such due to aging in wood and being a touch under the distilling-out proof for vodka, but by comparison with the flavouring whiskies, the base is milder and intentionally so. Don indicated, and I know this from distilling history, that a clean alcohol taste was regarded as highly desirable in the mid-1800s. This was a time when much whisky was made in primitive stills and sold young and raw. The public welcomed a spirit which lacked heavy soapy and oily notes. Indeed readers might reflect how popular vodka is today, the cleanest spirit that can be made. When high-proof, clean spirit became available, to give the “whisky” taste people remembered, some whisky made the older way was blended with the newer type. People liked these blends which became the whisky style of Canada. Blended Scotch whisky developed in a very similar manner, the same for most rum. The Americans too had, and still do, their version of blended whiskey. As a fan of the whisky palate, I must say I incline to the traditionally-distilled products, i.e., made the way Star and Star Special are and long-aged for maximum taste and complexity. I did try one whisky which was long-aged in new charred oak (virgin wood again) to see if it was similar to a U.S. straight rye. It was really quite different, a piney top-note emerged which is not characteristic of U.S. rye. I think our climate partly explains it but also Don pointed out that where the rye is sourced, as well as process differences at the pot still stage, can make for different tastes at the other end. It is only appropriate our whiskeys made in a similar manner to other reputed whiskies will not taste identical – it makes them distinctive, both of Hiram Walker in this case and Canada. Finally, I did some blending with Don’s help in the room where all the samples were arrayed. I decided to go for a blend of a Double-distilled, Star, and Star Special. The latter two were about 15% by volume of the blend. The taste was very forward and pleasing to me, I think Don agreed. It showed how a relatively small amount of flavouring whiskey can give a defining character to the blend. Don will be interested, or amused, to hear that when I got home and the level in the flask was 80%, I topped it with Red Letter whisky and just a touch of the barrel-strength Lot 40. I thought this produced a more complex taste and certainly was very good too. The samples left with me by the company were much appreciated. I recognize the public taste perhaps always will tilt towards the milder, softer taste of the blends, but I hope in the future Hiram Walker will put more emphasis on the single whiskies. It would be good to see a second Star Special, maybe one aged all in new-charred wood. And a cask-strength version of one of these would be nice. Hiram Walker has the flexibility, resources, and experience to make anything it wants and supply any public need in beverage spirits. The future is theirs, as it has been since 1858. *An earlier version of this article erroneously stated “40% abv”; thanks to “Megawatt” of www.straightbourbon.com for alerting me to this error. Yes, a very intimate look at a well known mega-distillery. What a privilege to have gotten an invitation and tour from Mr. Livermore…you couldn’t have asked for more. Thanks Sam, and for the previous reply. Fantastic article – thanks very much for sharing! Your skill at weaving technical details along with the narrative is unmatched. Great article, Gary. One question…. unless I missed it I didn’t see their water source mentioned and what, if any, type of purification system they use. Thank you. Two sources of water are used, for different purposes. 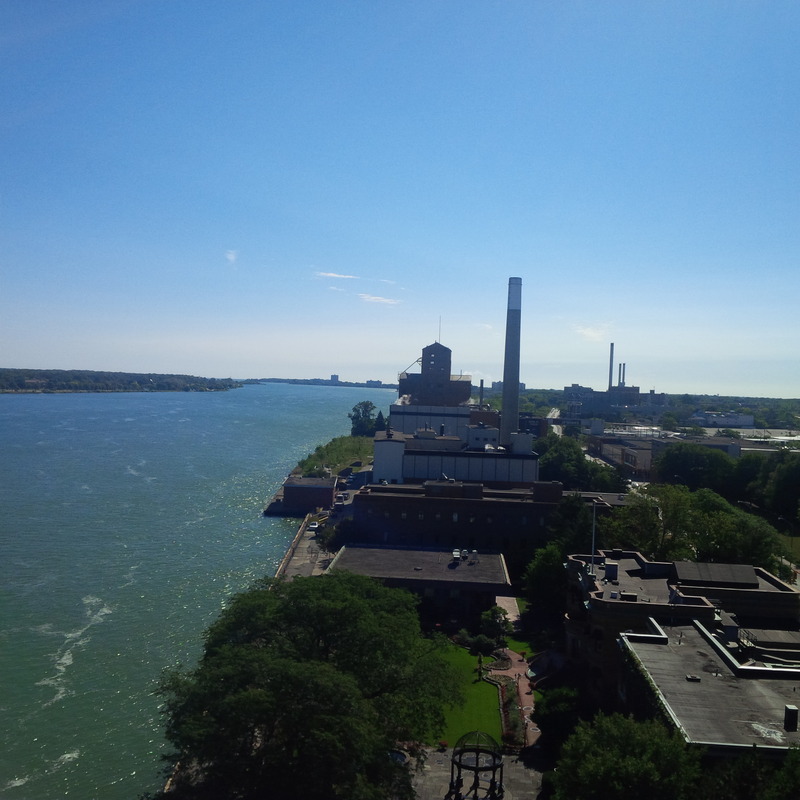 Detroit River water is used for cooling, and Windsor city water is used for mashing and dilution to bottle strength. The city gets it from Lake St. Clair nearby. I didn’t ask about water adjustment, so can’t address that.